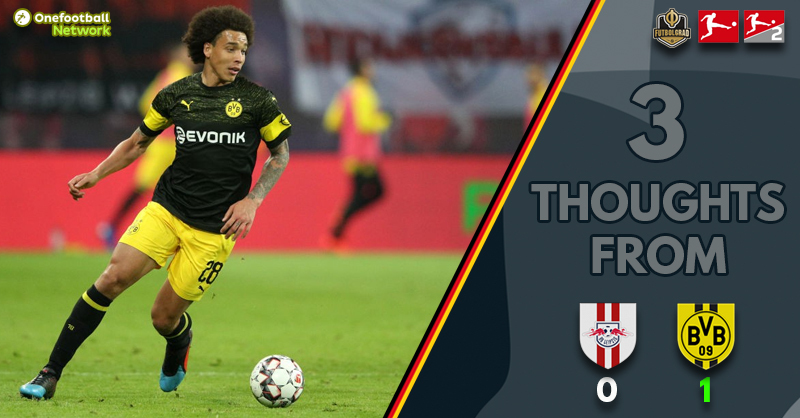 Leipzig vs Dortmund produced yet another high-octane fixture, the visitors eventually claiming all three points with a well taken goal from Belgium international, Axel Witsel. However, Leipzig will rue a number of missed opportunities as they suffered their first ever defeat in an opening game of the Hinrunde. The Dortmund goalkeeper was the Futbolgrad Network man of the match for this fixture – and with good reason. His second half performance saw a number of key saves, ultimately keeping the scoreline in the favour of die Schwarzgelben. The Swiss ‘keeper was rarely tested in the first half, but in the second he was called into action on a number of occasions. His reactionary saves denied Leipzig an equaliser five times, saving from close range to deny Marcel Sabitzer in the 73rd minute the highlight of his performance. On an evening that Dortmund had chances to put the game to bed, it was their rock at the back that allowed them to regain a six point lead at the top of the Bundesliga table. His only mistake was quickly rectified as he got to his feet and regained possession, after initially racing out of the box to intercept the Leipzig front-line. It was a magnificent overall performance by the Dortmund number one. However, Lucien Favre will want to work on not allowing their opponents that level of space again in or around the penalty area. Dortmund were without captain and talisman, Marco Reus. The forward was withdrawn from the starting XI at the last moment, although he was fit enough to make the bench. After such a wonderful start to the season there was a worry around the Dortmund camp that in order to capture their first title in seven years, Reus would need to be a factor in almost all of their games. In their first real test without him, Dortmund passed the challenge – just about. Maximilian Philipp was chosen ahead of Christian Pulisic and the ex-Freiburg star didn’t quite hit the same highs seen before his ACL injury last season. Without Reus on the pitch, Dortmund needed someone to step up to the plate and affect the game in a similar way in which the 29-year-old is famous for – Axel Witsel duly obliged. The Belgian controlled a flick on from Lukasz Piszczek wonderfully, his deft touch allowed the ball to drop dead for a right footed strike that left Péter Gulácsi a bystander in the Leipzig goal. The visitors didn’t have an easy afternoon, Leipzig created a number of excellent chances. Lukas Klostermann, Diego Demme and Timo Werner all set up opportunities for those around them – however, die Roten Bullen couldn’t find the right end product. 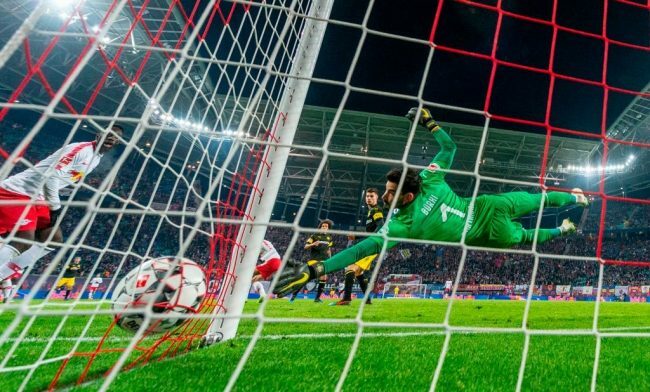 Leipzig created 12 chances in total, five were denied by man of the match Roman Bürki while another five were pulled high or wide – the Dortmund defence blocking the remaining two opportunities. Out of those five on target, Marcel Sabitzer had perhaps the best chance to level the game – the Austrian was unable to steer his close-range shot past an advancing Bürki. Even at the very end of the fixture, deep into added time Leipzig still managed one more clear cut opportunity. This time it was Matheus Cunha who could only find the wrong side of the Dortmund post.